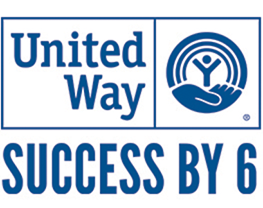 United Way for Greater Austin & our Success by 6 Team put a strong focus on Early Childhood Education. By convening community stakeholders we are all creating a future in which all children in our community enter Kindergarten healthy, happy and ready to succeed in school and life. Now, more than ever, research has shown the earliest years of life can set the stage for lifelong physical and mental health, and academic success. Children thrive when they are cared for by responsive and sensitive adults; participate in regular, stimulating early learning experiences, and enjoy healthy food and active play. We work with education organizations and community stakeholders to create opportunities for low-income infants, toddlers, and young children to receive high-quality education before they even enter kindergarten. We also provide opportunities for their parents to receive the skills they need to better prepare their children for success in school and beyond. Who: Anyone who is interested in the Early Childhood Agenda for Austin/Travis County is welcome to participate in our Stakeholder Meetings and help guide our agenda. Our Purpose: To convene our local Stakeholders for community, resource sharing, and to hold accountability for our Ready Child goals to help all children in our community enter Kindergarten healthy, happy and ready to succeed in school and life. Our Goal: Resource sharing, support and updates, and supporting our goals aligned with the School Readiness Action Plan. Meeting Format: An agenda will be sent out in advance of each meeting. At the meeting we will do a group overview, and then break up into learning centers for more one-on-one time, and a chance to touch on several different initiatives. Be sure to come equipped with any internal information or updates you want shared out, and the United Way team will be taking notes and sharing through Mission Box post meeting!